Many people dream of one day having a home of their own. But since buying a home can be very expensive, on the road to making that dream a reality, we rent. There are pros and cons for both living situations. As a renter, you may not have to worry about maintenance, but you do have to deal with a landlord. Here are some quick tips for how to protect yourself while dealing with landlords. 1. Keep Good Records: Your landlord is probably a good person (or a good company), but it's best to be prepared should any problems come up. Keep records of everything. This includes emails, letters and even the details of phone conversations. Know when you spoke and what you talked about. Tactfully letting your landlord know that you are aware of the rules can be helpful when you need things done. Definitely ensure you have a complete copy of the lease. That may sound obvious but one time I took over someone else's lease and was only given a copy of the transfer document. When I asked politely, the management company provided me the full copy. 2. Send Rent Registered Mail: Some management companies and landlords send bills for the rent. But you may get the bills only a day or two before rent is due. If you want your payment to be received on time (and have a record that it did) consider springing for the extra few bucks to get confirmation notification that your rent check arrived. That is, if you still mail in your rent. While some landlords still insist on checks, many allow tenants to pay online. This can then be set up automatically. 3. Know the Law: Some landlords go above and beyond, but it's a good idea to know what the landlord must do for you. Read up on the rights and laws for renters in your state. They vary and can change, so it's a good idea to stay on top of it. Tactfully letting your landlord know that you are aware of the rules can be helpful when you need things done. 4. Respect Your Landlord's Time: If your landlord has specified that all communication should be through email, don't text him or her at all hours of the day and night (unless it's truly an emergency). Respect your landlord's time as you want your time respected. If your landlord doesn't specify a preferred method of communication, just ask. Make an effort at the beginning (like right after you move in or even before) to get the relationship off on the right foot. 5. Keep Calm: Above all, keep calm. Yelling at your landlord won't solve anything. It's OK to be firm and persistent when there's a problem that needs your landlord's attention, but never lose your temper. 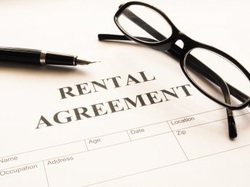 You want to stay on the best possible terms with your landlord and keep the relationship civil.